With the demand of rapidly growing communication sector in modern world the alternatives is necessary for the technology as the users or consumers looking forward for more unique features in advance and while the technology much, much & much improves satisfying the needs that results in boom of several standards 3G and 2G being the prominent ones among them as they brought the greatest revolution in communication & mobile industry. communication targets. Let we know the difference between this 2G's (2G & 3G). Everyone Knows that 'G' implies Generation concerned communication GSM structure and standards but here are few simple points about how 2G differs from 3G, a comparison of 2Generation & 3Generation. Adapting GSM (Global System for Mobile communication) was the first step of 2G in moving towards digital mobile communication from existing analog ones. It was in this technology that idea of providing SIM (Subscriber Identity Module) was initiated making communication more secure and lucid. It received an extra ordinary response in all the countries and presently most regions of the world making use of GSM technology. To make better use of time and frequency, modulation techniques like FDMA (Frequency Division Multiple Access) and TDMA (Time Division Multiple Access) were used which make a common channel accessible by many users at a time. GSM technology works on the basic principle of allocating a frequency band and a base station to establish connectivity in each cell. Cell is a small geographical area in which a city is divided for ease of communication. Different countries utilize different bands for GSM, like Canada and USA use GSM 1900 AND GSM 850 whereas GSM 1800 and GSM 900(DCS) are used in Europe and Asia. Each user is allocated with a channel of bandwidth 200 kHz and data rate communication is 270kbps. 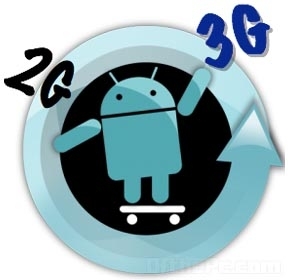 3G technology used specification and standards that provided huge multimedia support because of its compatibility with IMT-2000(International standards for Mobile Telecommunications).This being the most unique and key feature of 3G technology. Since the data rates of GSM interface are not sufficient to endow with elevated quality of multimedia applications, 3G technology appeared to be opening new dimensions in the world of communication. Applications like, video streaming, video calls, high speed net access, location based applications and other similar sort of utility services became accessible on mobile phones. The former commercial network based on 3G was formulated in Japan in the year 2001. A new air interface technique also known by the name multiple access technology WCDMA was used for this purpose. I CDMA2000 1x EV-DO, CDMA2000 are few other techniques used in 3G in different parts of the world.